Don’t ever let your top performers quit! !’ If you are ruling a business, you must adopt this universal survival mantra to get going at a faster pace. Human Resource team is not only the immediate moderator between the employer and employees, but it is the backbone for company’s sustainability. Therefore, the corporate environment demands for motivated HR members who can hire employees, motivate them and retain them for the longest possible span. But before we get into the details of capitalizing on human assets, let’s understand the practical business scenario. Well… not everyone will agree to his statement! But if we don’t agree, we must look for a solution to build strong base of happy employees and work in favor of employee retention programs. 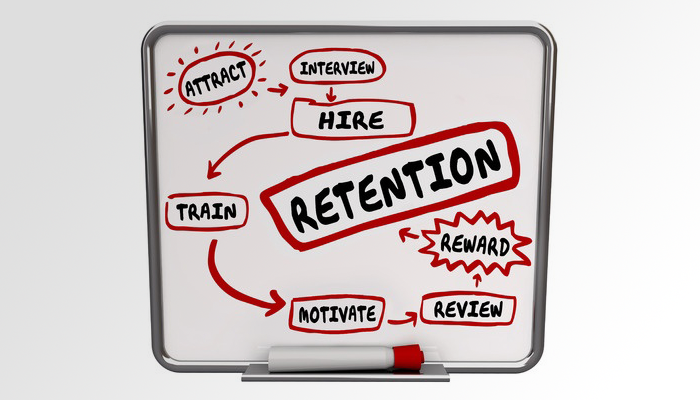 Human Resource team can motivate employees and it can definitely be a game changer in employee retention, but how! Let’s find out. Retaining a wrong person on the right job could be unfavorable for an employer. To begin with, HR professional should consider the right candidatures for different levels in the organization. On the other hand, the newly hired professionals must be assigned work responsibilities depending upon their caliber, specialization and interest. Pay well to the deserving candidates and offer them the best you can! High salary is a lucrative thing to attract competent employees. However HR professionals should introduce policies and programs that can secure an employee’s future. Health insurance, retirement saving plans, life insurance, flexible work hours and happy work culture are some benefits that make more sense to an employee rather than high remuneration. Human Resource people must always encourage employees to think differently. Give them a suitable platform to share their creative ideas and make such activities part of regular team meetings. HR professionals can also make efforts to periodically evaluate an employee’s performance and deliver their supervisor’s feedback. This could help them to understand their current performance status in the department and bring possible improvements in their work approach. Try this! It will definitely uplift few of your employees who are lagging behind. Discuss and set performance goals to raise work standards. Incentives and bonuses are good for your employees’ pocket, but their small and big achievements must be acknowledged personally to keep them motivated. A simple handwritten ‘Thank You’ or ‘Well-Done’ note can boost their confidence beyond imagination. So, better don’t miss the chance to say good words to your hard working employees!! So without further delay, take time to think, review and take these money-spinning employee retention ideas on board! !